This weekend marks 70 years since the arrival of the Empire Windrush. On 22 June 1948, 492 passengers mainly from Jamaica arrived at Tilbury Docks. Between 1948 and 1973 an estimated 550,000 people migrated from the Caribbean to the UK. The ‘Windrush Generation’ contributed significantly to rebuilding the country following the Second World War and their settlement has continued to enrich social, economic, political and religious life. Nowhere is the contribution of the ‘Windrush Generation’ more evident than in Lambeth where the majority of the first passengers made their home. Many stayed in temporary accommodation in the underground deep-shelter in Clapham Common and then settled in Brixton. One reason they were attracted to Brixton was because of Gus Leslie, a Jamaican landlord with rooms to let in the streets around Coldharbour Lane. This area in Brixton quickly became the nucleus of the Jamaican community in London and by the 1960s two streets in particular, Somerleyton Road and Geneva Road, had the highest levels of West Indian home ownership in the UK. Lambeth Town Hall hosted much of a new musical heritage and was the location of the famous No Colour Bar dance in 1955. Lambeth remains the home of many of the Windrush Generation. Windrush Square the Black Cultural Archives are testament to their survival as we continue their journey through generations to come. 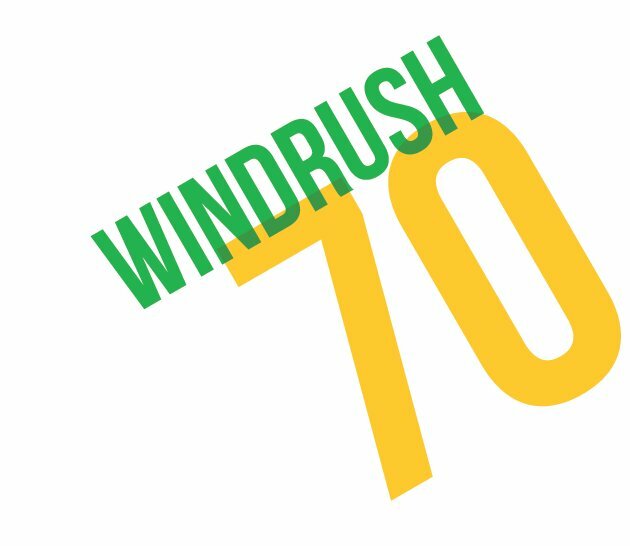 As such, Lambeth Council is spearheading the Windrush 70 campaign. The council commissioned the official anniversary design from young local Lambeth designers including commemorative pin badges. The council is supporting a series events to celebrate the Windrush generation including the Harry Jacobs A Snapshot of Brixton: Exhibition at Lambeth Town Hall, a tea party in the Town Hall, events in Windrush Square, a lecture by Professor Sir Hilary Beckles at Brixton Library, talks by the Windrush Foundation and an exhibition at Clapham South underground. I am pleased that following pressure from campaigners, the government has announced that the 22 June will be a national annual Windrush Day to demonstrate the importance of those who travelled from the Caribbean to rebuild Britain. Sadly, this year’s celebrations have been accompanied by the bitter irony of the the Conservative government’s “hostile environment” policy which has made many of the Windrush generation feel unwelcome in their home. Some British citizens have been deported without any opportunity of defence. Others faced job losses and insurmountable healthcare costs due to government policy demanding increased immigration checks with a high burden of proof. Last year I wrote to the Home Office and Jamaican High Commissioner urging the government to take action. Leader of Lambeth Council Cllr Lib Peck, Chuka Umunna MP and Helen Hayes MP wrote to the Prime Minister in April calling on the government to rectify this appalling situation. Following pressure from politicians and campaigners, the government promised to review and resolve the situation -; but reports of slow responses to cases and a remaining high burden of proof persist, so much more needs to be done to ensure justice. For example, the government should instate a proper compensation scheme to victims who have endured financial hardship because of the government’s practices. This weekend is not only about recognising the contributions of the Windrush generation but, against the backdrop of a hostile government, we will also celebrate the importance of immigration and embrace our tolerance, openness and diversity.